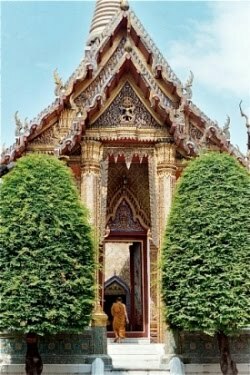 My Buddha is pink: When will it end? Bob Dylan had a million great lines within the lyrics to his songs and unfortunately, one of those lines is all too perfect for the moment. That comes from “Blowing in the Wind,” and it came to mind when I learned yesterday that, again, another gay teen took his life. Kenneth Weishuhn was a 14-year-old from northwest Iowa who dreamed of being married one day to another boy. 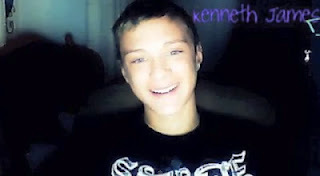 It seems that about two weeks ago, Kenneth, who was very well-liked at his school, decided to come out to his friends. They must not have been very good friends because after telling them he was gay, Kenneth became their target of ridicule and hurt. Kenneth lasted one week and then he killed himself. Once the news spread, complete strangers have been flocking to Kenneth’s Pinterest page to leave heart-felt words. The list is getting too damn long. And that’s just the list of those who make the news. The It Gets Better Project is a great response to help these teens wrestling with hatred and despair – there’s even a new one produced by gay Mormon students who attend BYU – but I can’t help but notice the irony that at least two videos in the project were made by teens who later killed themselves. That has to be a huge weight on these teens. And I thought I was carrying an unbearable burden when I was a teen. Or maybe I just found a way to carry it. Buddhism tells us we are the owner of our feelings, but that’s really difficult to understand and accept when the bad feeling you have is connected directly to others who relentlessly and gleefully taunt you, then hunt you down to taunt you some more. What can make it easier is having others around you that can support you, even protect you. And yet, Kenneth thought he had friends like that. That’s why he came out to them. I’m kind of rambling right now. How many deaths does it take? I bet at least one more. I was less diplomatic in my post about Kenneth....It just breaks my heart. How's recovery going? Gaining more back? I highly recommend acupuncture, not really to heal but just get your body's chi flow going normally. I did it weekly for the first year, then tapering off. Thanks, and my recovery is continuing. I haven't experienced any new improvement in my vision, but I am getting used to the way it is now and I've been cleared to drive again. There is too much hatred in the world. Keep spreading your message of compassion, my friend. I believe that it is possible to make a difference for the better in the world. Thanks for the encouragement, but here, I am only preaching to the choir. I'm trying to find ways to take the message to a new audience. It's frustrating.